I've been out and about this summer, at trade shows and working hard on a new package design and product displays for Bluapple®. In doing so, I've neglected to keep up a few things in my life. And with that, I am back on track. A few things have happened since May. Bluapple® now has a new color to add to it's package choice. Orange! We think it looks updated and fresh. It makes me want to eat something picked fresh from the garden this very moment, and then put the left over produce in my refrigerator, nestle it between a Bluapple® and make myself feel healthy. Eating fresh is so much more enjoyable when my produce stays fresh! Check out the new orange packaging and go eat something fresh. My suggestion? Berries. It doesn't matter what kind. Summer is amazing when it includes fresh berries. Time for Summer Fresh Food! Reese's Peanut Butter Cups and Hershey's Chocolate Bars. If you are wanting a sugar fix, then this combination might be right up your alley. It's a good combo. It works. BUT....what if eating fresh is your thing, eating healthy...yet being completely satisfied. Tomatoes and Feta Cheese. De-freakin-licious! This combination tastes like a sweet and fresh treat, only the calories are low, the fat is low, the good for you, literally, is high, and for me the satisfaction is amazing. Some people take the time to put the tomatoes in the oven and cook them a little, or use the broiler. I have no patience for such things. I get home from work and I want to be sitting outside, chatting with my boys about their day, eating summer foods that are quick and easy and take little effort. I want to spend my time with my kids, not with my cooking pans. And so, I microwave them. I slice up the tomatoes, crumble some feta on top, and 60 seconds later, dinner is served. Well, almost. Last night we added cooked corn on the cob, fresh strawberries, a green salad and brownies. I never complain about brownies. Give them a try. Eating fresh produce might be the most heavenly thing on earth. If you'd like to follow an actual recipe, I'd give this one a try. I love having a nice relaxing drink after work. Especially in the summer. Why? Because they are pretty, they are tasty and they are fun to serve. However, I have kids who want to enjoy a drink just as much as I do; but not a different looking one. They want one that looks just like mine. And so, I make theirs first, pour them into their fun glasses and then use my share and add some adult kick to it. The kids love having their drink, and I get to relax and enjoy mine. Follow the link and try out these fun drinks. Maybe let the kids help by showing them how to put sugar on the rim of a glass. Let them add fresh fruit onto a toothpick to add to their drink. Dinner and drinks with kids CAN be a relaxing and enjoyable time! Physical health is important. Eating good foods like fruits and vegetables in many varieties is important. Exercising is important. Sleep is important. 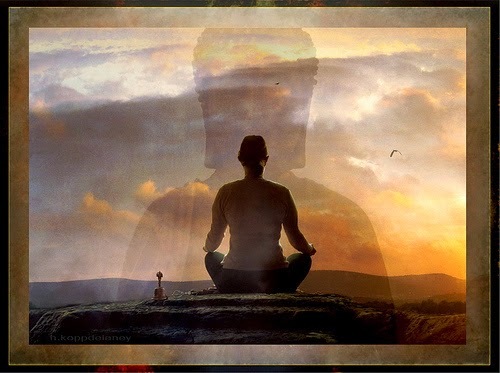 And...sometimes, taking a break from all the is important and focusing on our minds, our inner-selves, is important. What I mean by that is we all need a break. Yesterday after work, my husband wanted to run up a canyon near our house. It is one of our favorite canyon runs. It takes about an hour and has many small challenges along the way, especially when running instead of walking. I do it quite often with him, racing along the way and trying to get a better time as the summer passes. And yesterday, I didn't go. I passed. He left and I sat down. And I did, nothing. The kids were gone, the house was dark and the cat jumped onto my lap and I sat on my couch and looked into her eyes as I pet her head. I wasn't sleepy or hungry and so for the next 30 minutes, I pet my cat and thought about a few things going on in my life. I thought of happy things, sad things, exciting things and even thought of nothing for a bit. I just pet the cat and breathed in the silence. And at the end of my experience I felt...revived. I had a few clear ideas come to mind and a new determination to accomplish what I have been putting off. My body didn't get a work out physically, but it got a calm and quiet rest that brought about an energy that a canyon run couldn't have brought. And my cat was pretty content as well. 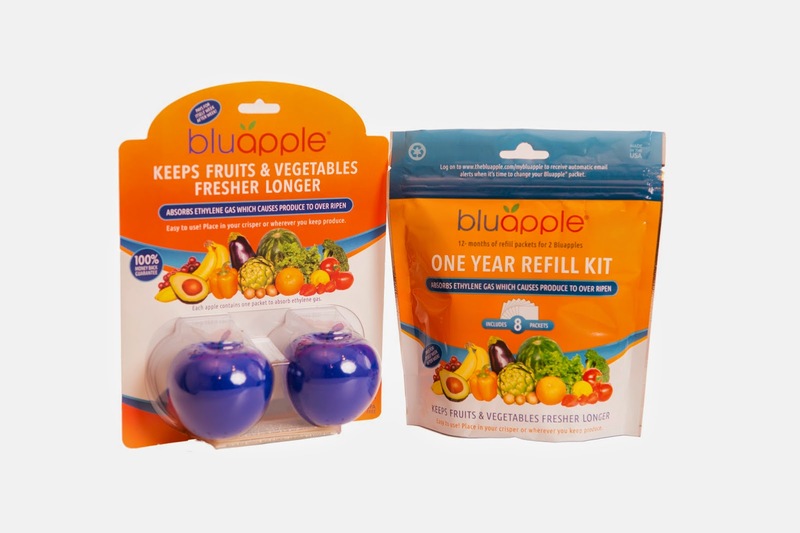 Bluapple keeps all produce fresher longer. Even herbs. Do you use herbs? Do you know how to use herbs? Do you have a favorite one? My son does. And it is mint. He loves using it in his tea. And so we buy it quite often, keeping it fresh with our Bluapple in the fridge. Here is a link that gives a lot of information about mint, ways to use it and how to keep it fresh. They don't know know about Bluapple...yet. Absorbing ethylene gas is so easy with Bluapple! It is inexpensive and effective. The site says that mint can last up to a week when stored in water. The mint in our fridge lasts twice that long by simply keeping it cold, moist (we keep it in a container with hole for the air flow) and a Bluapple in the crisper drawer with it. Check out their website for some great ideas and information on how to eat real food, now. We are working on getting different time-lapse videos up for people to see. Check out this one! Does the Bluapple work? See for yourself! Visit our youtube channel to see more amazing videos! I have volunteered for many things in my life, in my community...in my own home. And sometimes after I make that first initial commitment, I feel regret. I think of all the reasons I shouldn't have done it, how I don't have time, or how they don't really need me and it is a waste of my time. And then after I complete it, I have such a sense of satisfaction. It feels good to help out. This past month I helped with a project that made sandwiches for the homeless. We made sack lunches and handed them out next to the homeless shelter. It felt good to help, gave me gratitude in my life that I have my family to love and love me back, and inspired me to just be a better, nicer and more helpful person. There are always places in need of volunteers. Local schools need people who can help with reading, tutoring, or office work. Rest homes and community senior citizen centers welcome volunteers to help with food, activities and travel. Some places will require you to get a food handlers permit, or special training. That will take time as well, time that you volunteer. Teaching kids to volunteer will help give them a sense of community. It can open new doors of opportunity for them as they meet new people and network, as well as trying out different jobs and having different experiences, which can help direct them to a path that will bring them fulfillment out of life. They may discover that they love to work with senior citizens, or children. Working at an animal shelter might spark a love of animals that might send them down the path of being a veterinarian. There are many benefits to volunteering and it is okay to recognize that.